The northern half of Todd Mall was regenerated with a new warm palette of materials and by reopening to vehicles. 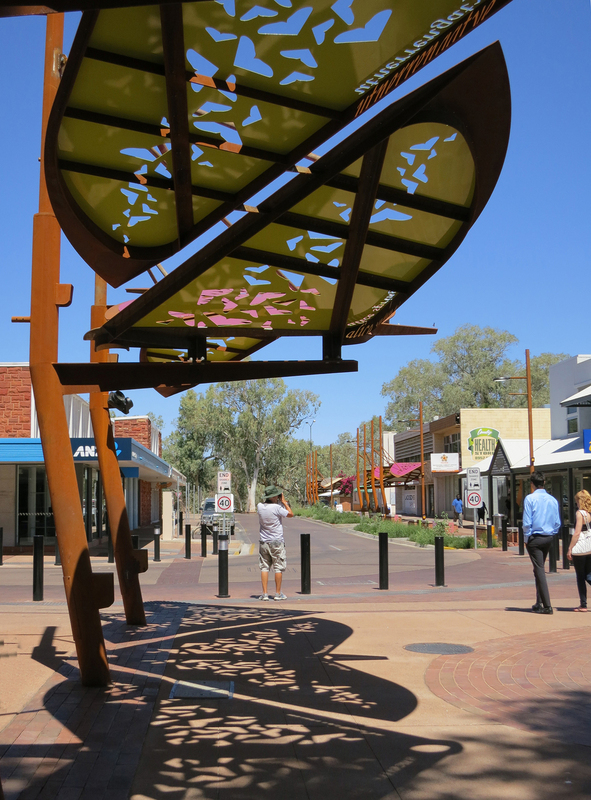 The Biodiversity Corridor cultural framework strengthened the link between the CBD and the dry Todd River bed with endemic planting and shade structures and artwork that reference three of the sacred caterpillars of Mparntwe (Alice Springs): Yeperenye, Ntyarlke and Utnerrengatye. The nature of water in the desert was highlighted with an ephemeral rainwater reflection pan and a cascade feature borrowed from an ancient watering system used in Isfahan in Iran.